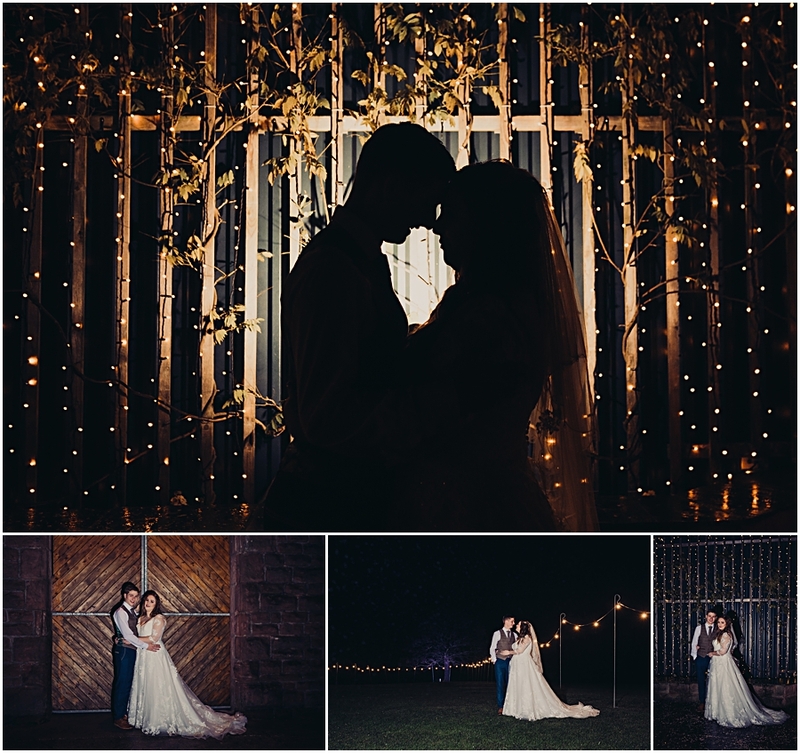 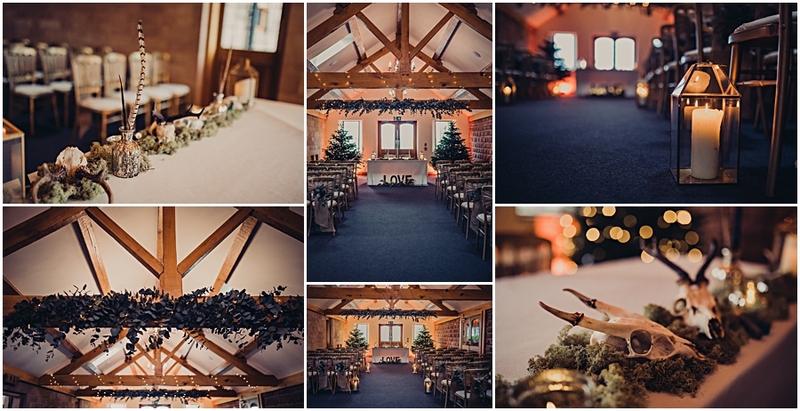 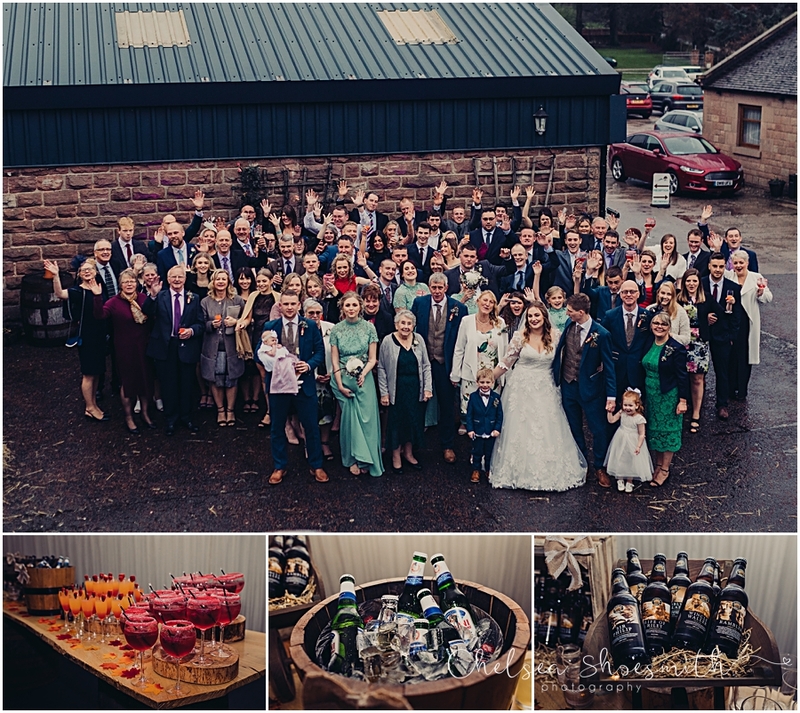 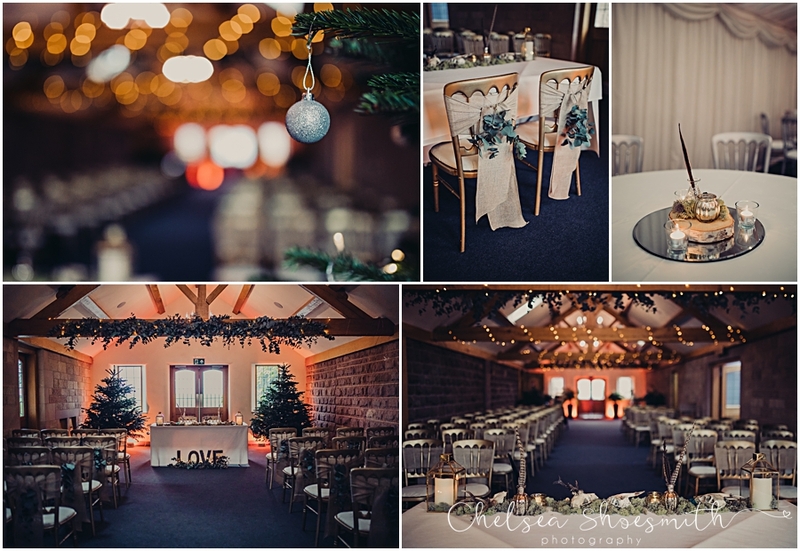 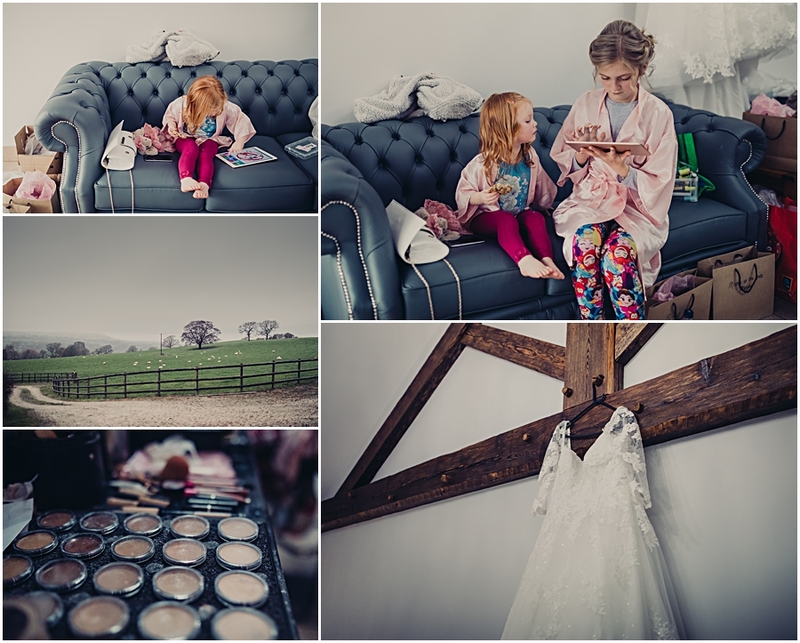 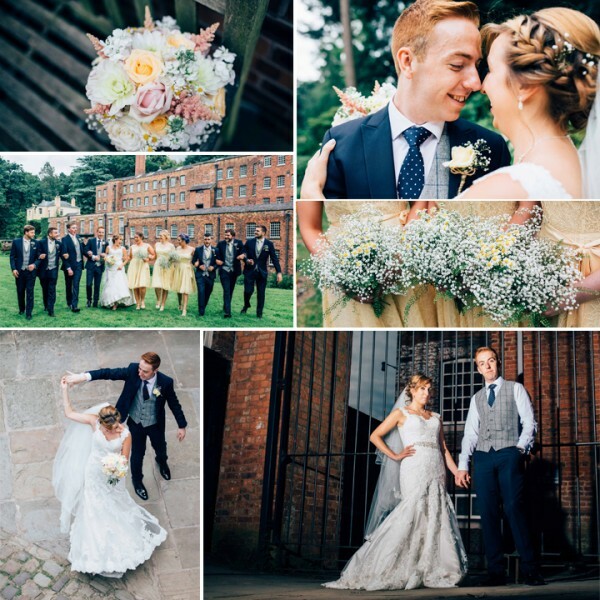 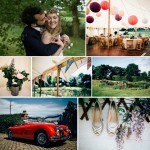 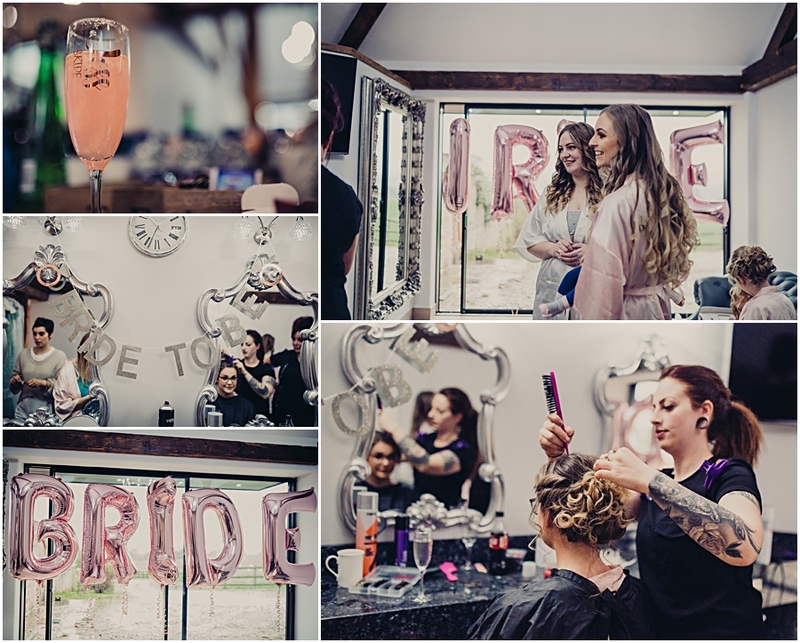 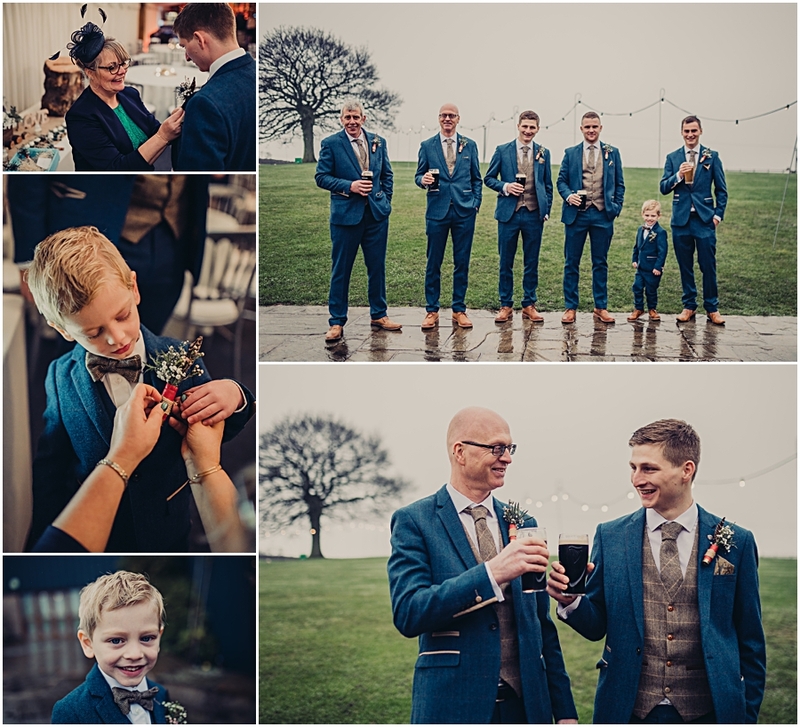 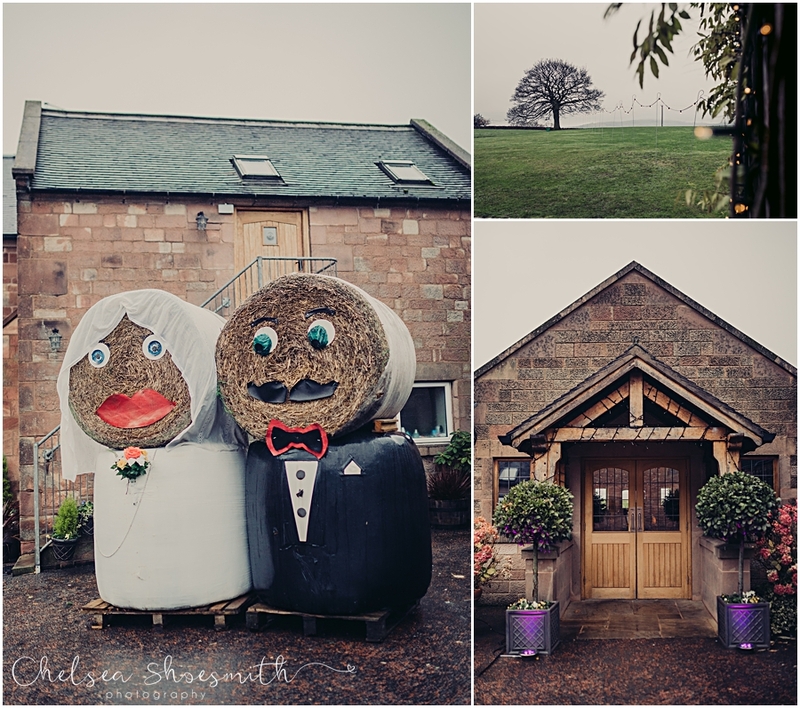 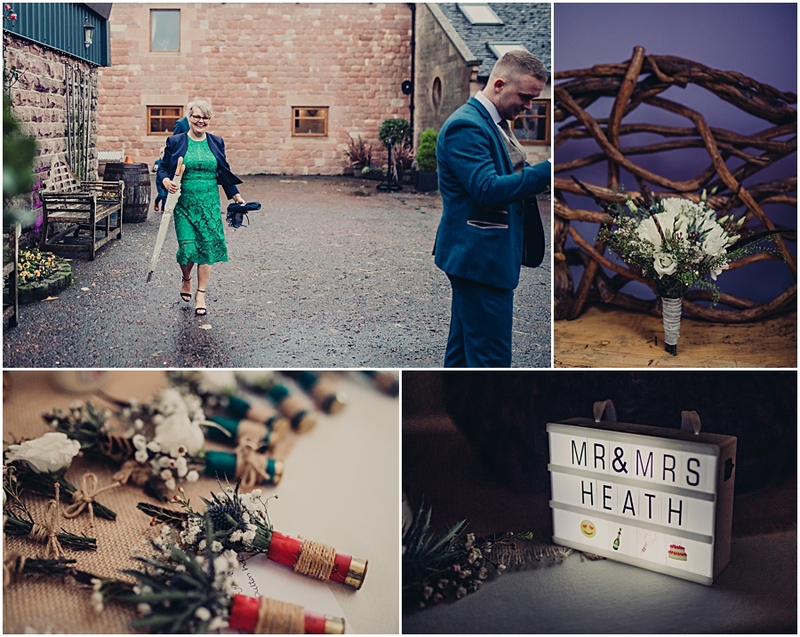 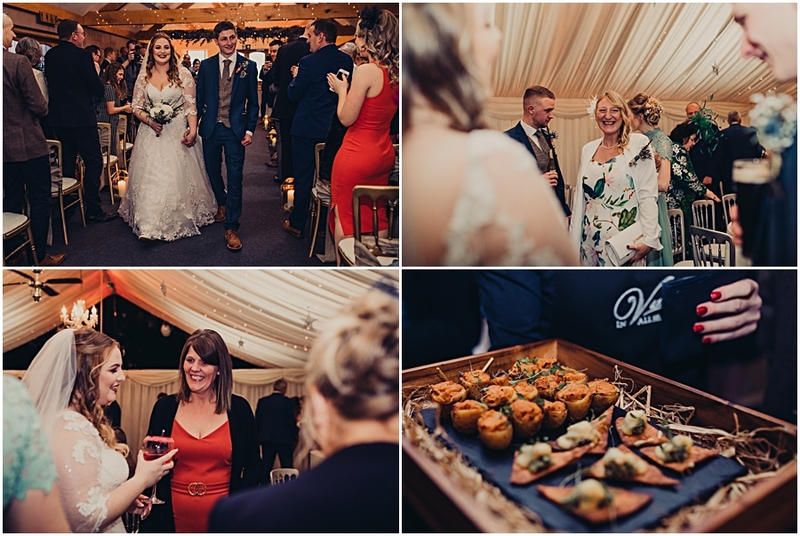 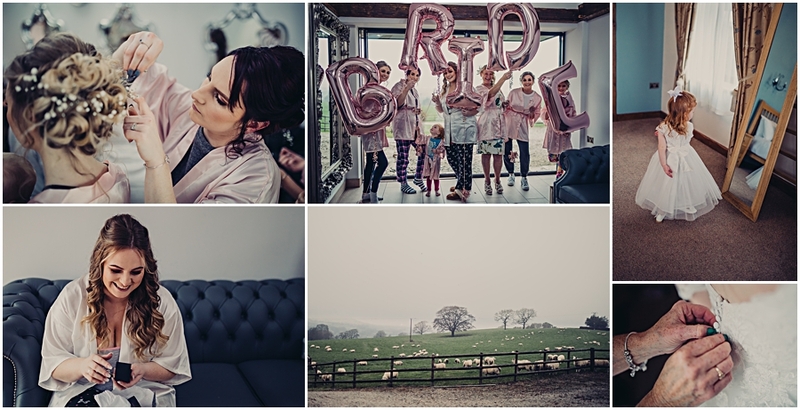 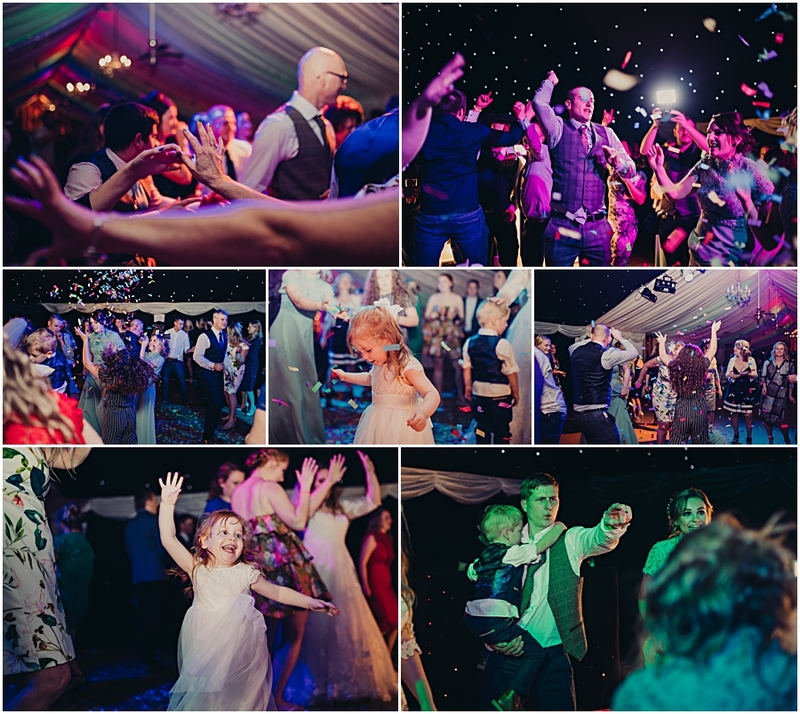 Heaton House Farm is such a gorgeous venue in every season and in all types of weather. 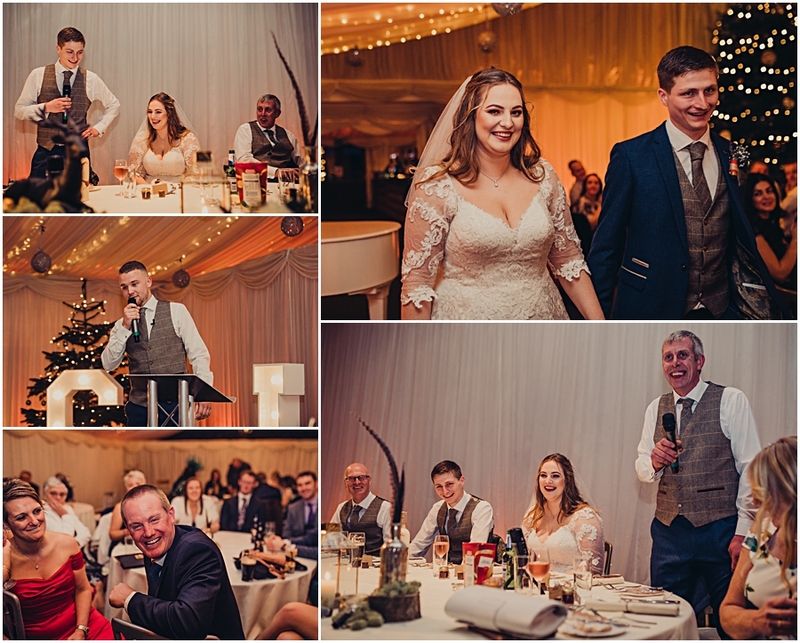 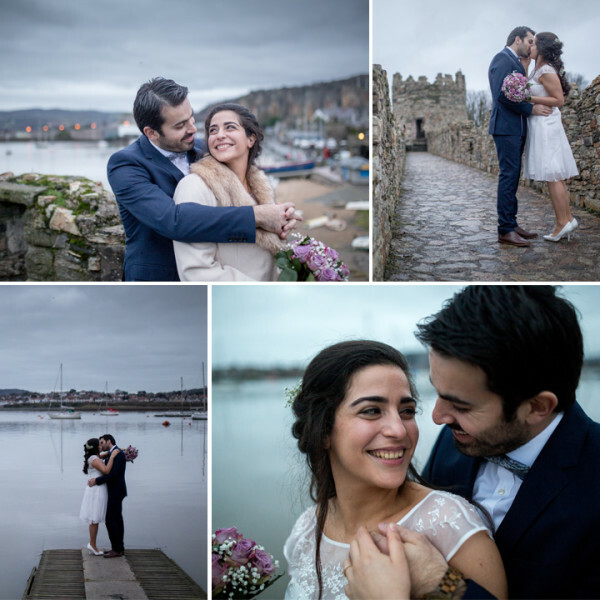 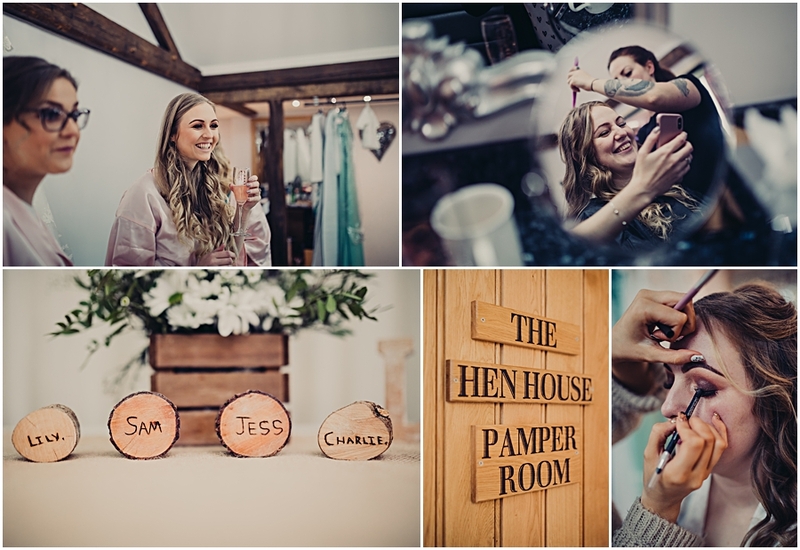 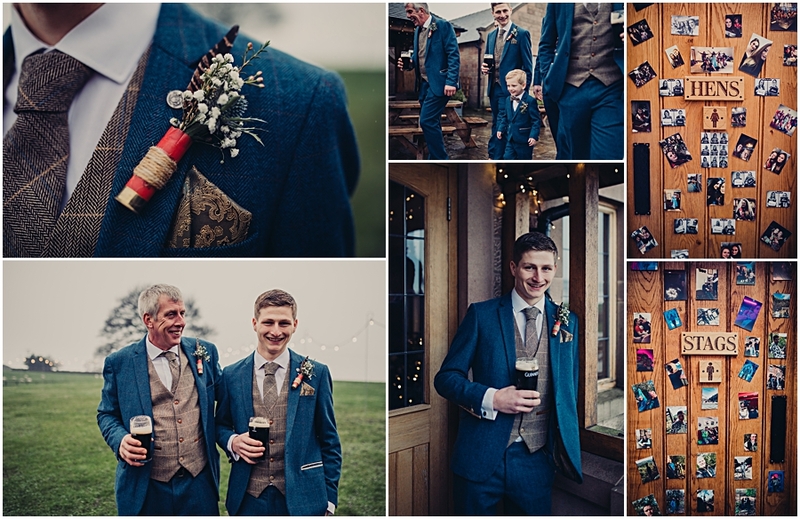 Jess & Sam got married in December, it was a perfect winter wedding and I was thrilled when I was asked to be their photographer. 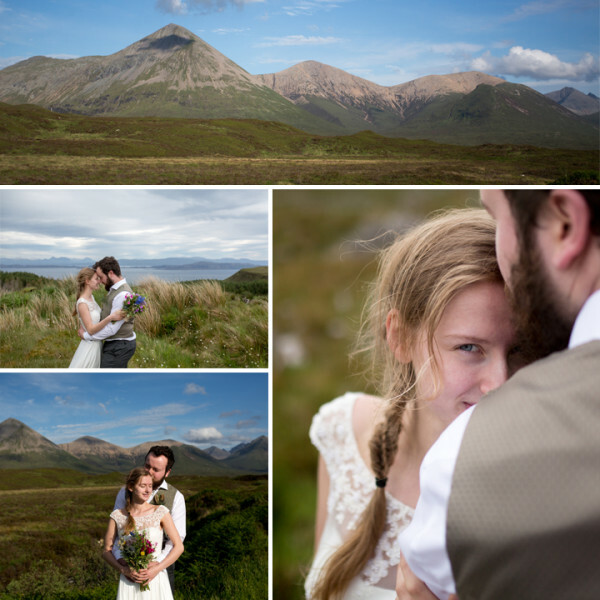 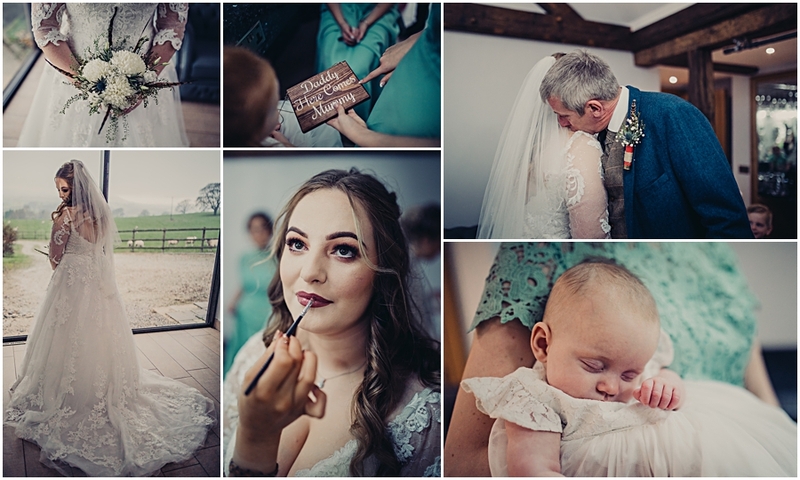 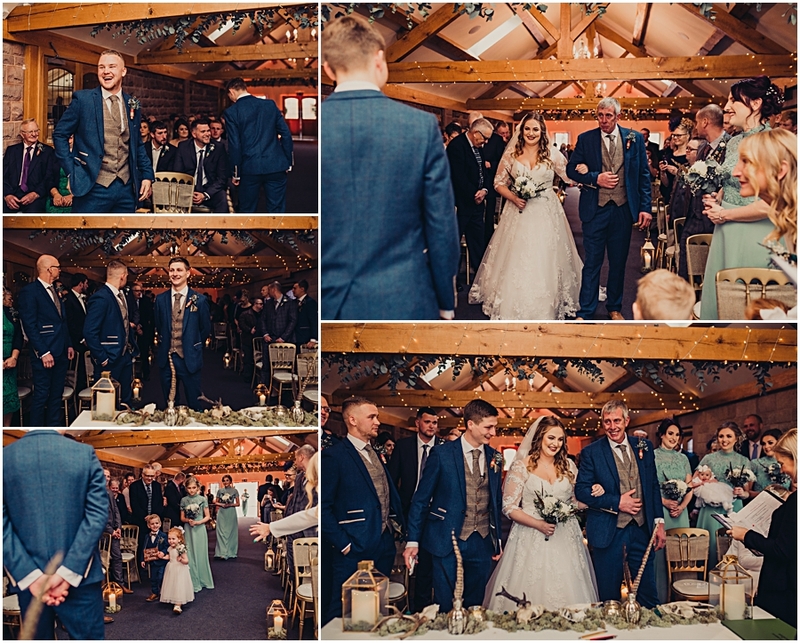 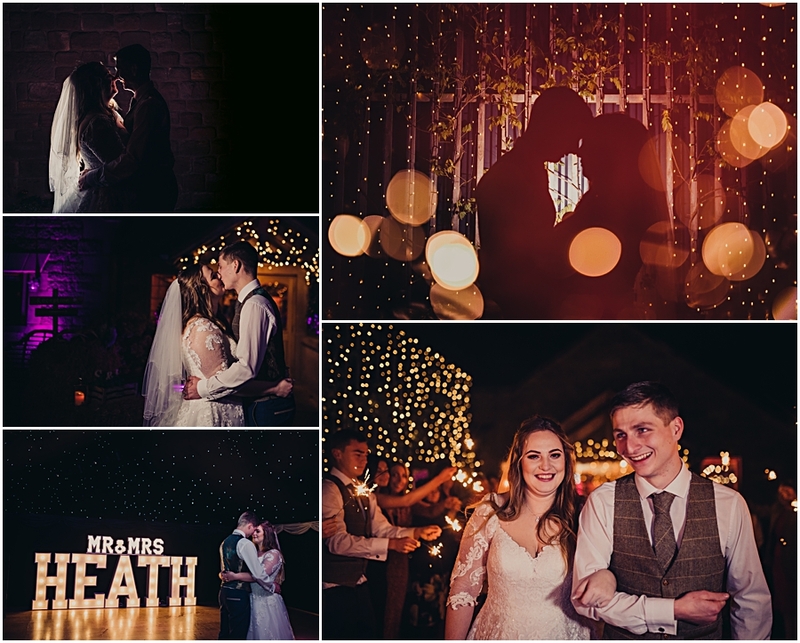 Jess & Sam are childhood sweethearts, it was amazing to finally see them tie the knot surrounded by their two gorgeous children, friends & family. 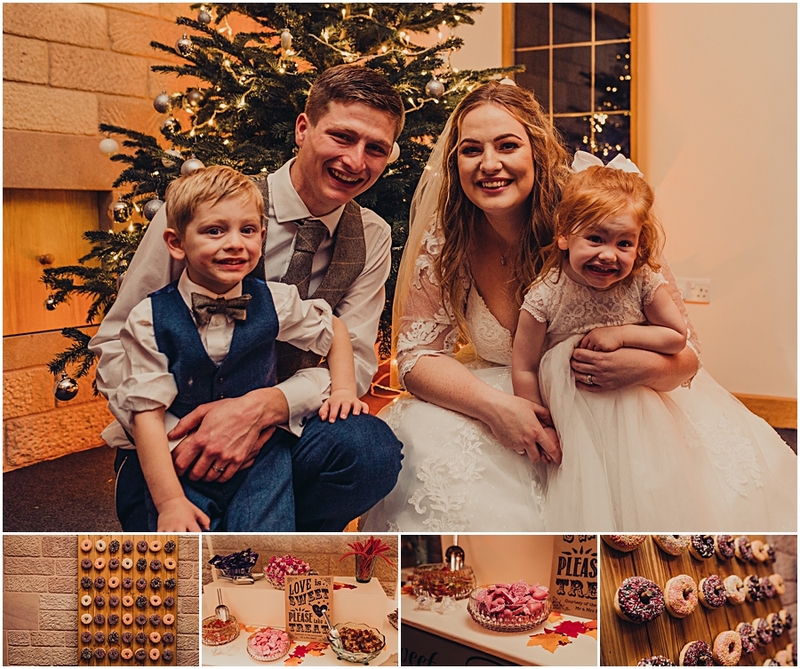 There was so many lovely elements to this wedding, the taxidermy centrepieces, the donut wall, the cake. 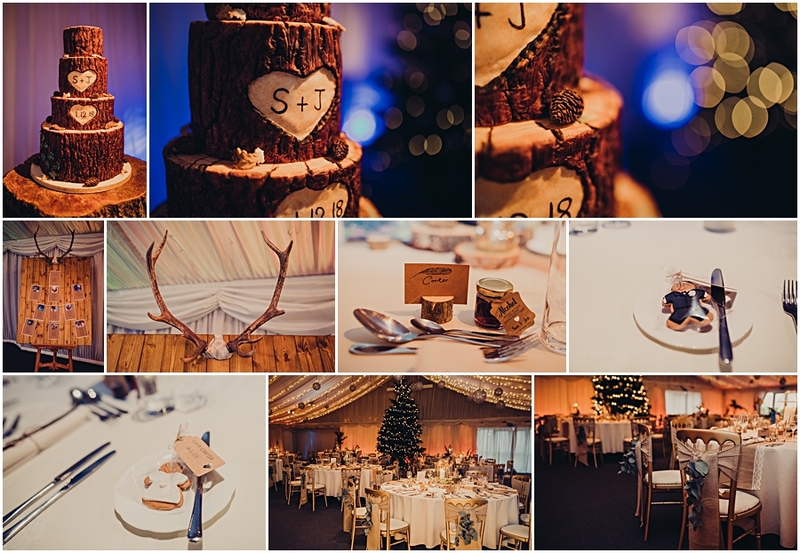 I have never seen such a stunning cake before, there is so much detail it is unreal! 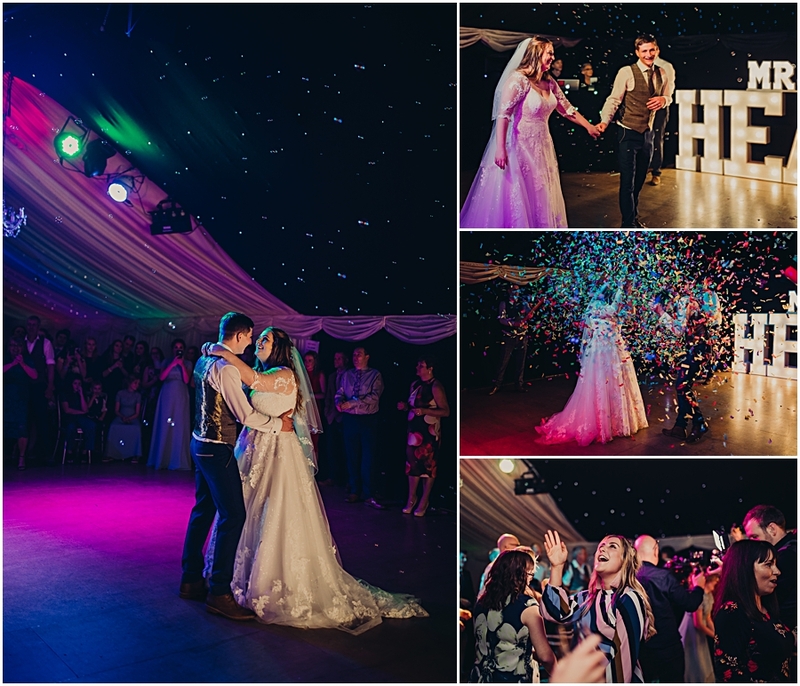 The confetti cannon that went off during the first dance. 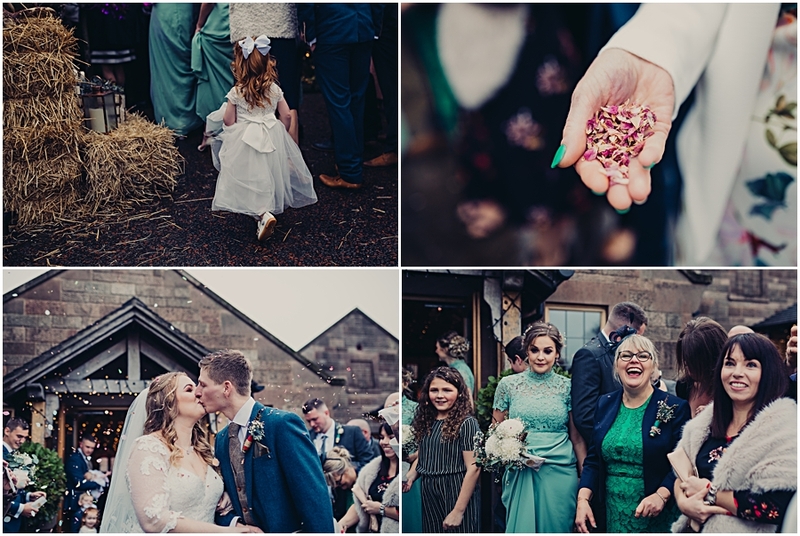 The whole wedding was beautiful. 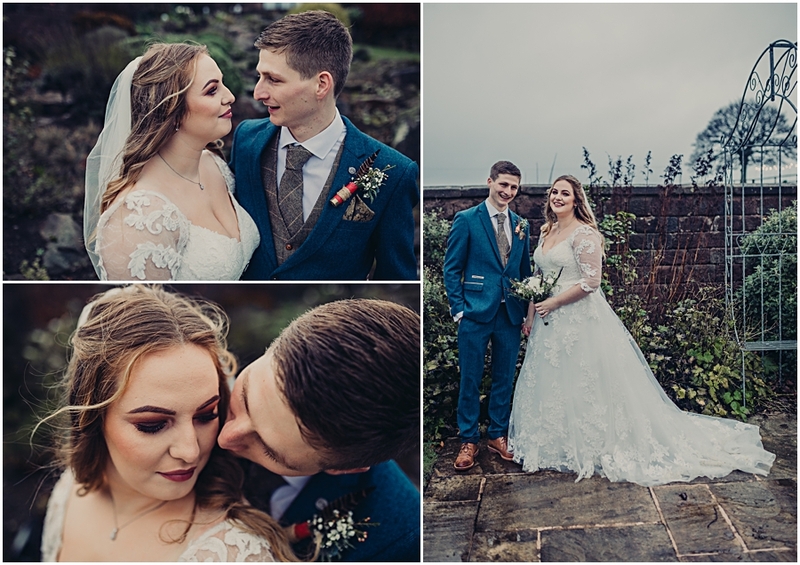 Congratulations once again to both of you!